Closets can be so pesky. One day you've got everything just how you like it, the next--chaos. We've scoured the internet and came across these closet hacks that will save you time and sanity! 1. De-clutter and get rid of clothes you don't wear! This can be the toughest part sometimes. Our rule of thumb is to take a garment and consider if you've worn it in the past year. If not, chuck it (unless it's one of those one-time affair kind of garments). After you trim down your wardrobe and start re-hanging things, put your hangers on the rack the opposite way (see image right). 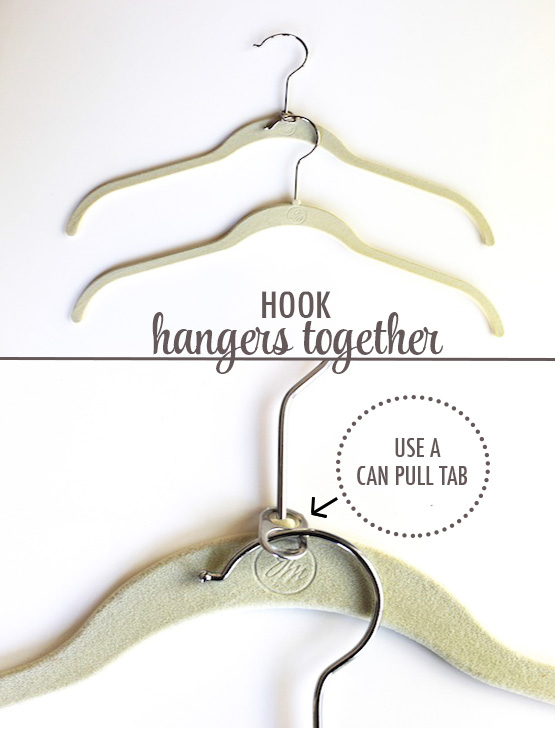 As time goes on, you'll replace hangers correctly on the rack after you wear that item. Next time you do a closet cleanup you'll know exactly which items went unworn! 2. Mount a pegboard A pegboard is great for organizing your belts, jewelry, scarves and more. These little guys can be purchased in any home goods or craft store at an affordable price with minimal installation effort. Make sure to grab the different hooks or rings to insert in the pegboard for storing your items. 3. Get creative with painted PVC pipes PVC pipes can go a long way in your closet. 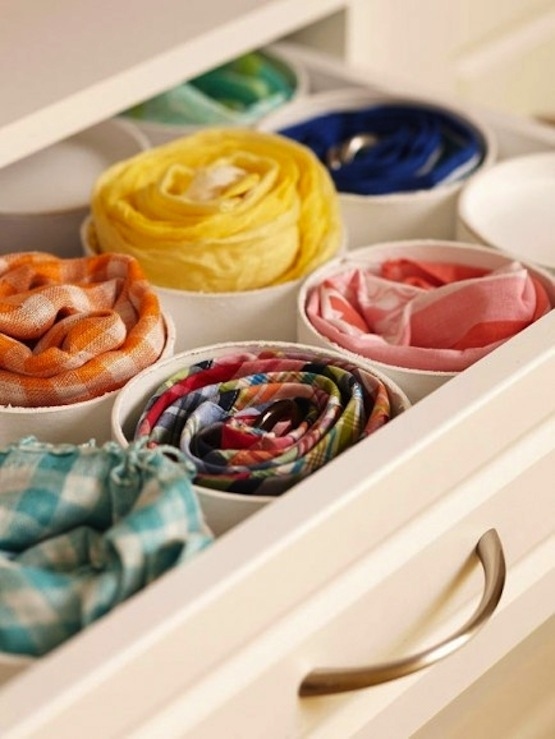 You can use them in drawers to store ties, belts, scarves, lingerie and more. Or you can mount them on the wall for alternative storage for items such as shoes, towels, etc. 4. 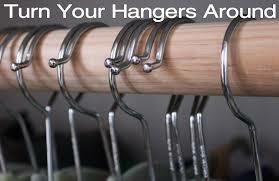 Invest in a hanger stand The biggest mess-maker in a closet can be discarded hangers. We suggest using a hanger stand that will neatly store your unused hangers on the floor. This tool will also save you space on your rack, and you won't accidentally tangle empty hangers with ones being used. 5. Use soda can tabs to double hang Now this one blew our minds. Such a simple idea, yet totally effective for saving space or for pairing matching items such as pantsuits.